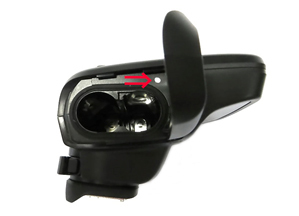 Linked shooting and wireless flash shooting with radio transmission will not work in some setting modes when 7 or more units are linked. This phenomenon does not occur when 6 or fewer units are linked. Units with a combination of 3rd and 4th digits in the serial number in the ranges shown below are affected. 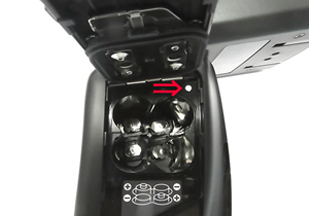 Note: If the battery compartment of an affected unit contains the marking illustrated below, the product is NOT affected by the phenomenon described above, even if the serial number is within the ranges mentioned above. To arrange to have an affected unit inspected and serviced for this phenomenon at no cost, please contact your nearest Canon Service Center.